I think it's important first of all to point out the fact that Ken's example, while eloquent and a nice idea, was in fact a total lie for anyone who wasn't white, male, and of a certain class. I think Anna is indeed confused, as she playfully says, but it is over the meaning of the word "dedicated". If Lincoln were saying that all men (i.e., all human beings) were in fact treated equally, or that everyone's rights were secure in the Republic from the time of its founding, he would indeed have been telling a "total lie." But that would have been a very strange thing for Lincoln to say, as his rise to the presidency was launched by his opposition to the extension of slavery. Lincoln's argument was that the new nation was "conceived in liberty", which means that the founders did what they did because they, at least, enjoyed liberty. And he argued that the new nation was dedicated to the proposition that "all men are created equal." A person or persons can be dedicated to something without having yet achieved it, as a Doctor may be dedicated to curing an as yet incurable disease. Stephen Douglas, by contrast, argued that "all men" just meant all white men, and maybe not even that. The founders had no belief in any logic that would be more inclusive. I think Lincoln was clearly right. Anna seems to side with Douglas on the point. It is easy to judge the founders harshly. They were not so open-minded, perhaps, as Anna and I. Maybe we are better people. But of course it is easy for us to be so open-minded: two hundred years of politics have brought about a society where it is very easy to advocate a complete equality. That is precisely what Lincoln was hoping for. What Anna and I would believe if we had been alive in 1776, or 1858, is anyone's guess. But the best that one can say for the Republic in its early days is that it was more inclusive than any other regime anywhere at that time or any previous time. More ordinary people participated in the constitutional ratification process than could have been imagined before that moment. And contrary to what Anna says, class was no barrier for the simple reason that America has no class system. Property was indeed a barrier to voting in some states, but any person, no matter how low his birth in class terms, could participate if he owned property. Moreover, property qualifications varied among the states, and again, many people of very modest means participated in most places. The founders justified the separation from Britain and thus the birth of the the new nation on precisely the principle that "all men are created equal". This is in the founding document, the Declaration of Independence. 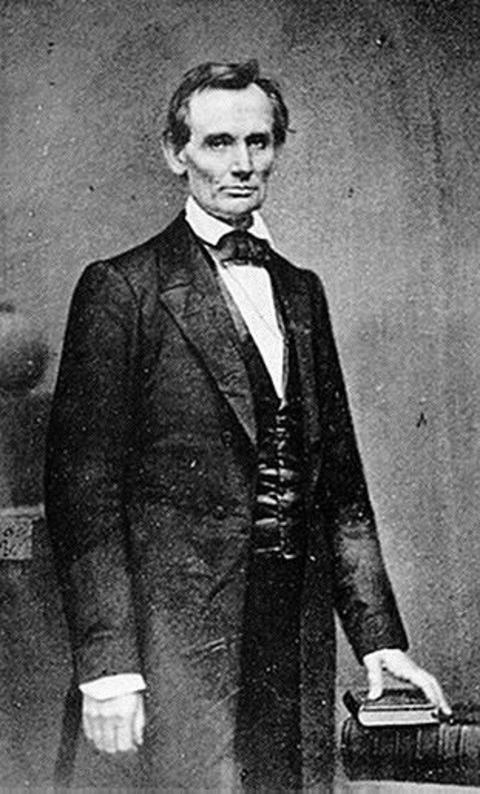 Lincoln used that fact to defeat Douglas's principle of neutrality with regard to slavery. Martin Luther King, Jr., used it to argue that American apartheid was un-American. The same logic is obviously a cornerstone of the feminist movement. I think Anna is to quick to undermine it. Secondly, there are all kinds of words that we once used and don't anymore (at least in polite company) because we as a society decided those words weren't appropriate. While I am not convinced that words like 'manning' should be drummed out of our vocabulary, I don't think we've lost much of import through that process. This is a point worth making. The purging of certain specific words that have no function other than the expression of racism or other forms of prejudice is certainly necessary. The purging of a common and very basic root word because it has certain associations in certain contexts, that is quite another. But I do not see that Anna and I have a quarrel here. Finally on the case of women firefighters, I was not scoffing at the idea. I have no doubt that many women do this job as well or better than their male colleagues. Interestingly enough, I read today that a disturbingly large proportion of firefighters are disturbingly large, and that on the job heart attacks are the leading cause of fatalities among them. I hope that the 6,200 women working in that field are not typical. I still don't know what the proportion of women firefighters is, but I respectfully yield this point to Anna.